The Wrestling Trolls are BACK, facing nasty bullies and vengeful villains. Here come the Wrestling Trolls with two great new adventures! Jack, Milo, Robin and Big Rock are back, and they have a new friend with them too - Blaze, the magical phoenix. As usual, the gang are low on money, so they plan to come together as a family and make some dosh by taking on notorious bully Buster Gutt. Unfortunately, Buster is even meaner than they thought, and soon poor Jack finds himself and his alter-ego THUD in some seriously hot water... In the second story, villainous Lord Veto tries to break up the Waldo's Wrestling Trolls family. He plants seeds of doubt in Jack, which sets Milo off, and soon Princess Ava is caught in the middle of two very grumpy boys - when they have a wrestling tournament to fight! 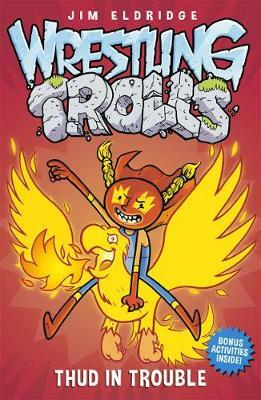 The brave Wrestling Trolls troupe must come together for glory once more in this hilarious and heartfelt series.